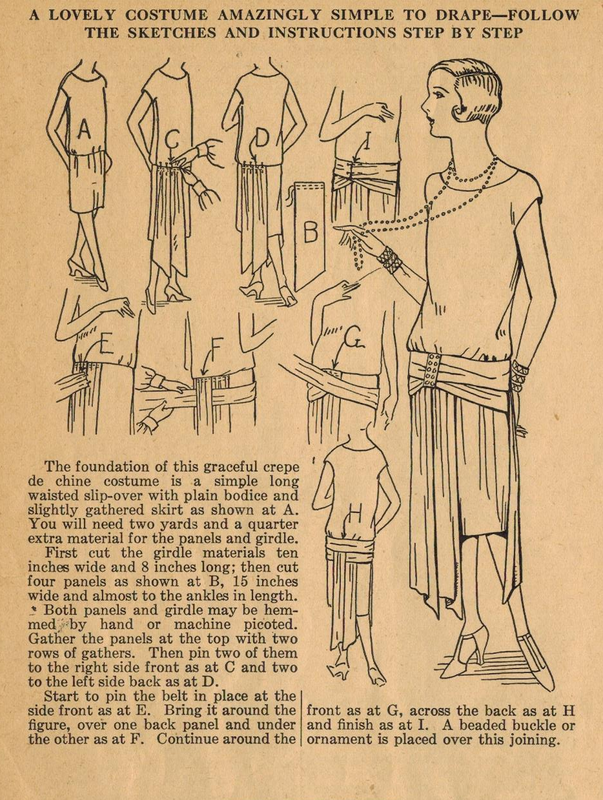 In this tip, Ruth describes a marvelous technique of artfully adding graceful panels and an elegant draped band ("girdle") at the hips to add beauty to a plain slip-over frock. As always, yardage and detailed, illustrated instructions are provided and make this look simple. Love it! This DOES look easy! I think I'll have to try it!